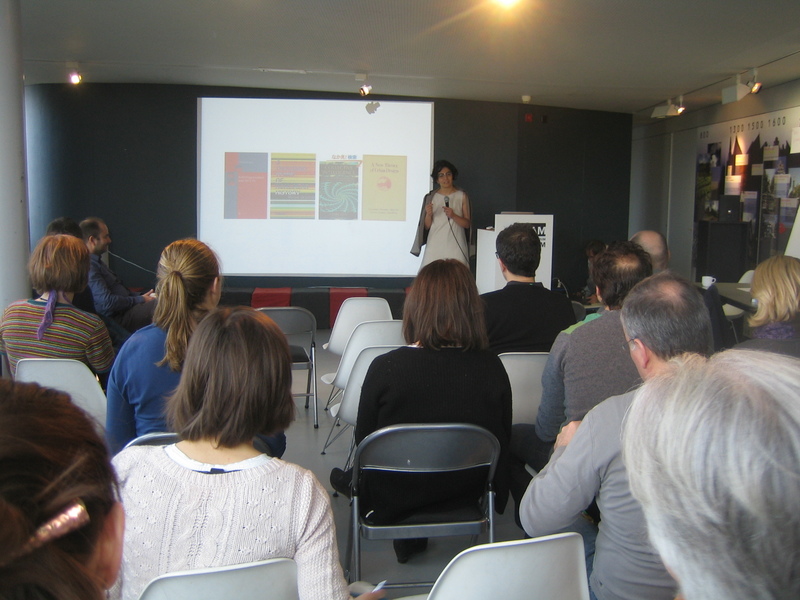 What does bottom-up participation in city design actually mean? That’s one of the questions emerging from Ekim Tan’s presentation at ARCAM today, preceding the second day of workshops at the Social Cities of Tomorrow event. 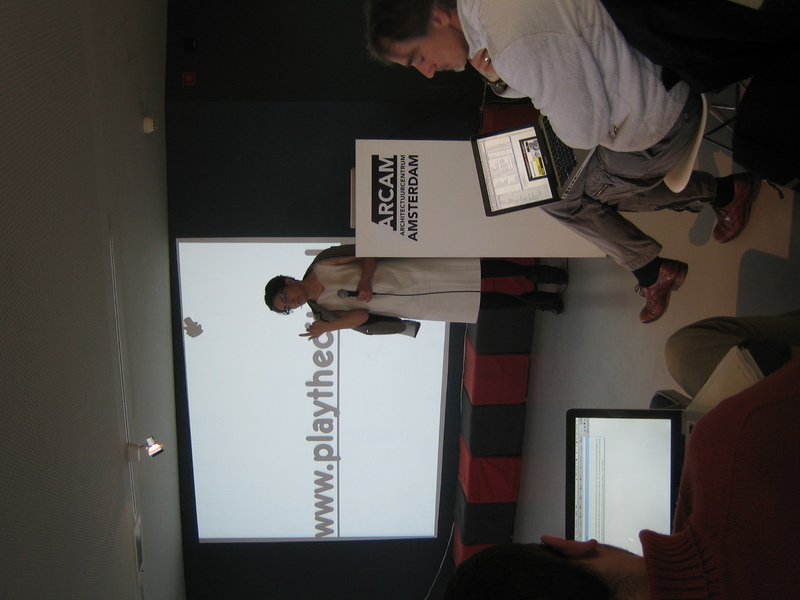 The Istanbul-born, Netherlands-based designer, founder of the Responsive City research network, introduced Play Noord!, a gaming approach at bottom-up design and urban planning mediation in the up-and-coming Amsterdam neighborhood. The project is part of Play the City, a larger-scale initiative that spans across the continent and tackles urban environments as diverse as Almere and Istanbul. 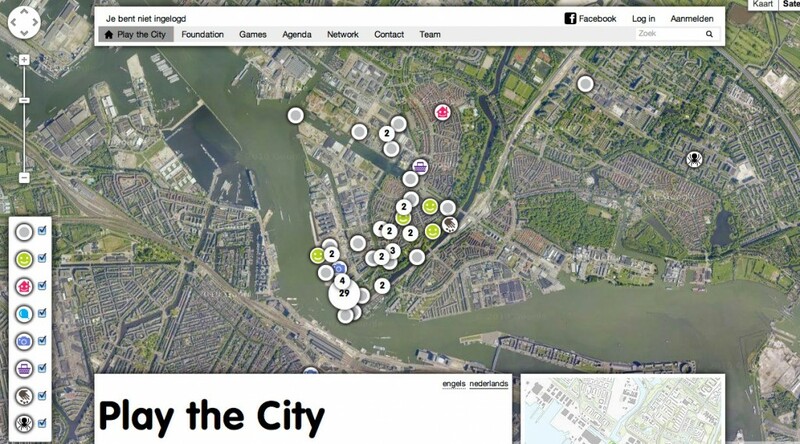 The goal is simple, at least in appearance: creating a specifically-designed tool to stimulate and facilitate communication between different stakeholders in determined urban issues, allowing a more transversal expression from the bottom up. Of course the tool includes a geo-tagged web interface to map issues and user-generated feedback, but also actual meetings where actors physically play with Lego-style blocks, in order to arrange their own version of the neighborhood. The blocks are designed after a research process that Ekim and her team take care of, and then placed with the correct scale and ratio on a tridimensional reproduction of the area, with which the people involved, gathered around a table, can interact. You can read a more detailed explanation of how it works in this interview and watch a playing session here. After racing through the theoretical and practical influences of the project (from Pierre Levy’s Collective Intelligence to verbeterdebuurt.nl), Tan showed us several diagrams and pictures, especially regarding the latest Noord installment of the project, which has apparently convinced the city officials to implement an additional discussion layer in the planning process. After the presentation, the audience got quite involved. Questions regarded mainly the definition of “gaming” and, most of all, the results – missing from her presentation. When asked what she learned from it, Tan said the most valuable lesson was that, in order to get something that looks like a plan, you need to convince the right people they have a say in the process. Her team tackled the issue by mapping the areas involved and visiting as many people as possible, explaining the project face to face and asking for participation. Along with the physical act of placing the blocks, this is a reminder that map-based apps and the power of web2.0 are not enough when it’s time to get people to take action. Overall, the presentation and the following discussion highlighted the need for a better understanding of what participation is about, and what can be done to facilitate it. If a project like Play the City doesn’t alter the structural relationships between actors, like somebody pointed out, it still stresses the necessity for a more inclusive mediation between officials, professionals, and the communities affected by planning. Gaming might not be a “game-changer”, but it can inspire more people to play. I am an Italian freelance writer, currently based in Amsterdam. I'm mostly interested in the intersections between art, media, and architecture in contemporary cities. You can follow me on Twitter at @quasiniente. 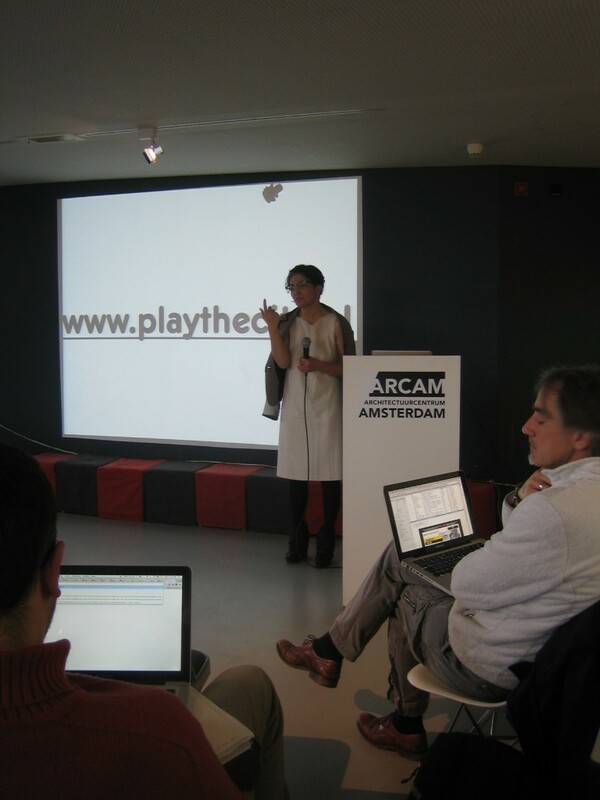 This entry was posted in Reports, Workshop Reports and tagged almere, ekim tan, gaming, istanbul, noord, participation, play the city, responsive city. Bookmark the permalink.